If you want your readers to lose sleep because they can’t stop reading your book, How to Write a Page-turner will explain step-by-step how to it. Beginning with the four types of tension (danger, conflict, uncertainty, and withholding), the book explains exactly how to add each one to the characters, plot, and wording of your book. With copious examples from books of various genres, it is easy to see how other authors have used the described techniques to good effect. I have never read a Writer’s Digest Book that wasn’t a great tool. How to Write a Page-turner is no exception. This book assumes that you are editing your draft manuscript to ratchet up the tension. However, it would also be an interesting read for those still struggling to write that first chapter. 4 stars! Thanks to Writer’s Digest and NetGalley for a copy in exchange for an honest review. 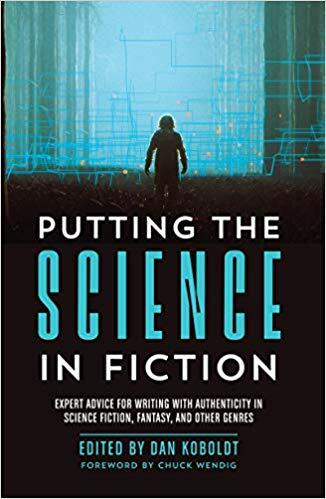 Whether you write mysteries, fantasy or science fiction, Putting the Science in Fiction is an exceptional way to avoid factual errors. But it is also just a great way to catch up with current technology trends. When your spaceship dramatically explodes into a fiery cataclysm, scientists everywhere are screaming (with laughter). Of course, in space, no one can hear you scream. However, you should also know that without oxygen, you know like in outer space, fiery explosions can’t occur. To avoid giggling scientists, read this book. The range of subject matter within Putting the Science in Fiction is impressive. From simple lab protocols to poisons, genetic engineering, mental health issues, disasters, rocket science, biology, computer science and more, this book has something for everyone. Each story is written by an expert in their field. Most are less than ten pages long. Even for non-writers, some of the misconceptions exposed are fascinating. Walt Disney probably wasted his money freezing his head. Most of the Terminator series is impossible. However, the storm trooper’s pulse (really an intermittent laser) cannon has already been tested successfully by the US Navy. Unfortunately, Luke’s lightsaber is a non-starter as are all of the rebel’s ships. I guess we know who really would have won the (star) war. Okay, I admit it: I am a total nerd. I absolutely loved this book. I am planning to use it at parties to debunk (okay, maybe ruin) popular movies. However, even as a non-writer, Putting the Science in Fiction gave me at least five great plots for a future bestselling novel. Unfortunately, it won’t be written by me. Perhaps you will write it so I can have the pleasure of seeing my idea in print. 5 stars! Thanks to the publisher, Writer’s Digest, and NetGalley for an advance copy. 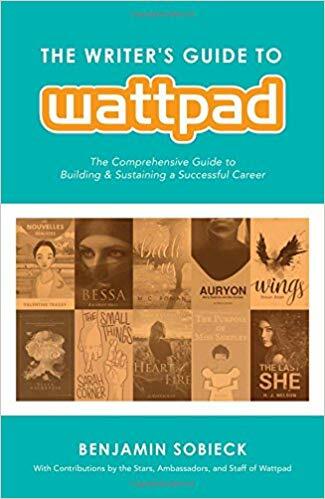 The Writer’s Guide to Wattpad is an excellent resource for new writers and those frustrated with typical ebook distribution channels. Wattpad allows writers to have a personal relationship with their readers while building their fan base and social media presence. While it is free and easy to create content, this book shares tips for increasing the benefits of using a non-monetized platform. The Writer’s Guide to Wattpad is a loosely connected series of essays by real Wattpad users. Here are just a few of the over 20 articles. Wattpad readers are 23 times more likely to read a book with a cover. One essay gives concrete steps for getting a cover for $6 or less. One chapter covers the importance of choosing your Wattpad user name. Another explains how to use serialization to your advantage. Understanding your genre, fan base and competition is the subject of several essays. 90% of Wattpad users are young Gen Z or millennials. Those readers could be your lifelong fans. Cultivate them by responding to constructive comments and take the high road by ignoring unkind or irrelevant comments. With over 65 million Wattpad users, it is hard to ignore it as a platform for writing success. 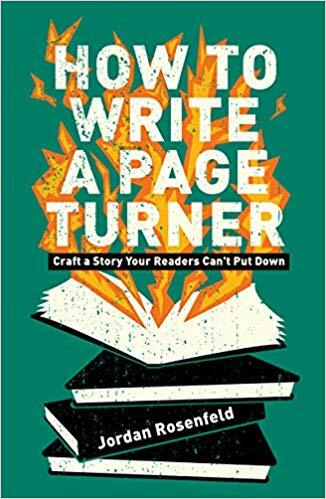 It is a great tool to teach writers what works and what doesn’t as decided by readers rather than jaded or money-motivated publishers and agents. The Writer’s Guide to Wattpad is a useful resource both on how to use Wattpad and whether its democratic feeling is correct for your writing or personal style. My only issue with the book is the format of providing 25 essays by multiple authors with no short intros connecting them together. 3 stars! Thanks to Writer’s Digest Books and NetGalley for an advanced copy. Hit by writer’s block on your novel? To push that block off your shoulder, try writing magazine articles while also working on your masterwork. This guide is filled with practical advice to write targeted articles that will make some cash and build your brand. From finding ideas, researching markets, staying organized and writing queries, there is much to be done before the article is even written. I love this Guide to Magazine Article Writing! So useful! So straightforward! 5 stars! Thanks to Writer’s Digest and NetGalley for an advanced copy. Mastering Plot Twists pulls back the curtain on how the writing process works. Excellent manual on plotting, character motivation and including the unexpected within your writing. Each chapter includes a brief lesson, a multitude of examples, and exercises for the reader to apply the knowledge to their own works. There are also two case studies or stories, which the author uses to illustrate her points. Not only are the case studies from different genres—political thriller and middle grade fantasy—so are the examples making this a useful book for any author. Each chapter concludes with a brief summary of its takeaways. The two tools provided, the TRD (twist, reversal and danger) Development Checklist and the ICE (intrigue, credible and evidence) assessment model will show the underlying skeleton of any book. Jane’s Plotting Road Map will shorten the overwhelming process of writing into manageable chunks. 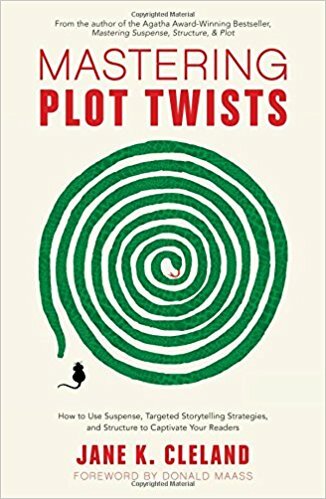 While marketed to writers, Mastering Plot Twists is an excellent resource for readers and reviewers interested in the mechanics of writing. For both aspiring and experienced writers, there are many tips and tricks to be found here. 4 stars! If you never took or only vaguely remember a college English 100 class, Sleuth: Gail Bowen on Writing Mysteries is a perfect read for aspiring or new writers. It is also extremely useful for book reviewers like myself. Write in the early morning. Take a break for 5 minutes after every 25 minutes of writing. Never leave your writing in a bad spot (because you won’t want to return tomorrow). Buy a paper notebook with pockets that you can stuff with interesting news clippings. Ask why the authors of your favorite five novels chose the specific elements within their novel. Create intriguing backstories for your secondary and minor characters so you can expand on them in future books if your book turns into a series. The opening sentence should contain the entire novel. Don’t include research in your novel just because you did the research—it must further the plot. The ending should fully resolve the mystery but leave the protagonist’s inner longings unfulfilled. Most of the information found in Sleuth: Gail Bowen on Writing Mysteries can be used by an author of any type of novel—not just mysteries. The examples she uses within the book include both classic English literature and mysteries. While the majority of examples are from her own mystery series, she also reveals the ending of Gone Girl and The Sopranos. If you are planning on reading/watching those, you should avoid reading this book or at least skip those sections. 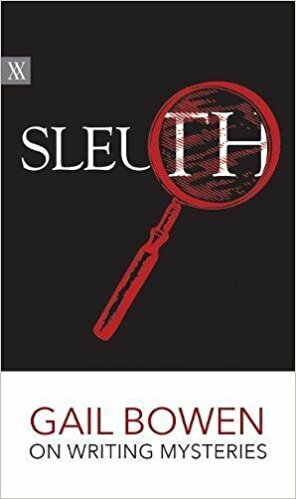 For those writers that have a few books under their belts, Sleuth: Gail Bowen on Writing Mysteries may be too rudimentary for their needs. 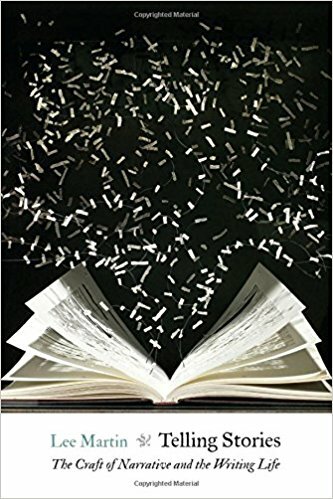 For aspiring writers or reviewers, this book is worth 4 stars for being clearly focused on writing procedures and suggested processes that will increase the reader’s knowledge and abilities. Thanks to the publisher, University of Regina Press, and NetGalley for an advanced copy. Style guide for the social media generation and those that want to communicate with them. there is no such thing as correct style. And sometimes there’s no such thing as correct spelling. 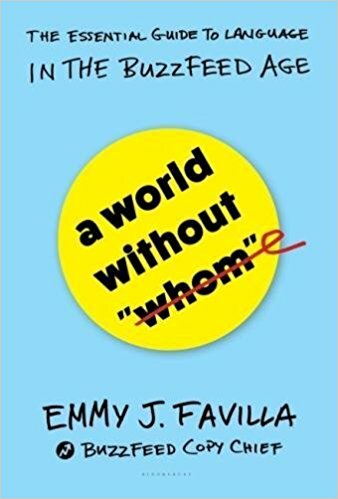 Emily understands that words and grammar have a way of morphing through daily usage especially with today’s social media highway speeding along. However, she has a few rules drawn in the sand. Avoidance of typos, adding hyphens for clarity, using commas where necessary (including this one before the “and”), and fixing danglers (such as this). Emily also suggests using respectful language for sensitive topics like immigration, disease, suicide, race, and gender. I learned a few things. I resolve to spend extensive time from this point forward trying not to reside in 1965 with its double spaces after sentences. Black is now preferred over African-American. Hispanic only refers to people from the Americas that were colonized by Spain (so not Brazil). However, Latino is everyone with a Latin-American origin. Periods go outside of quotes unless an entire sentence is being quoted. Other readers will also find answers to questions that have been nagging them for years. picking up a dictionary (lol, by which I mean, obviously, checking the internet). It is a fun little book about words. If you are interested in words, either as a reader or a writer, this is a great book to pick up. It is not for everyone so I give it 3 stars. Thanks to the publisher, Bloomsbury USA, and Netgalley for an advanced review copy. Practical ideas for improving your writing. Telling Stories covers most areas of writing short fiction, novels and memoirs. It has sections on structure, characterization, detail, point of view, language and revision. It also has a short section on the writing life, which includes how to start writing and defeat writer’s block. The author uses many quotes from contemporary fiction to show rather than just tell the reader how the skills he is discussing are used. Since the author is a creative writing teacher, he also explains how his students improved their writing by applying his tips. Exercises and writing prompts are sprinkled liberally throughout the book. Reading with the goal of improving the style and structure of my book reviews, this is my first writing manual. So the book contains many ideas that are fresh to me. 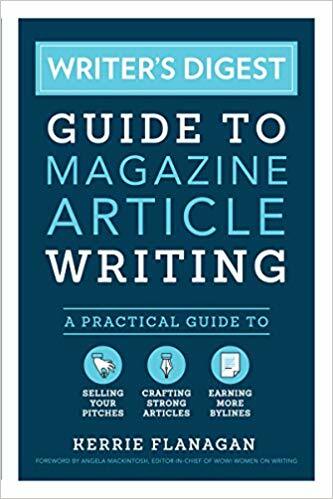 However, this book seems geared to newbies like myself rather than to experienced writers or even those who have read a few similar writing guides previously. The author’s homey, “I’m talking directly to you” style is refreshing. There is none of the “I know everything and you know nothing” effect of many works of instructional non-fiction. The structure is well-organized from simple to complex themes that are ordered in the way that a writer would create a piece. Telling Stories is a solid 3 and a half stars rounded up to 4. Thanks to the publisher, University of Nebraska Press, and netgalley for an advanced review copy.